If you asked me to list my life essentials, then they would be hair extensions, water and food. In that order. I’ve been wearing hair extensions permanently for around four years now; initially I had them glued in, and for the last two-and-a-half years I’ve been getting weaves fitted. 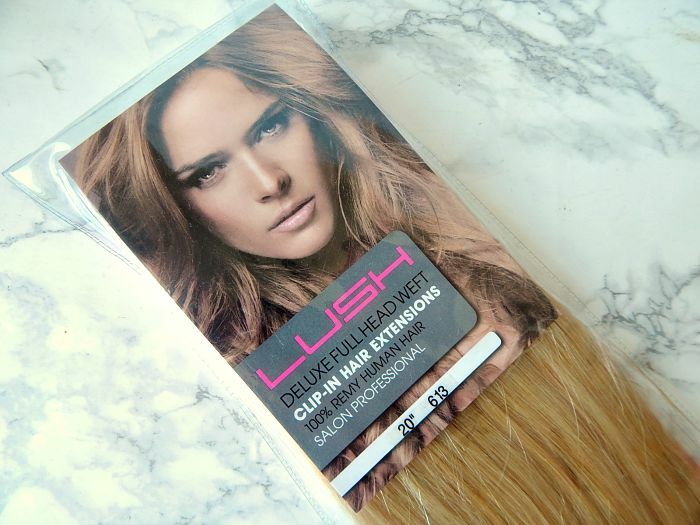 One thing I love finding is a new hair hair extension brand, and the most recent one I’ve tried is Lush Hair Extensions. They were kind enough to send me some extensions of my choice to review, and to also give my lovely readers a chance to win their very own set! 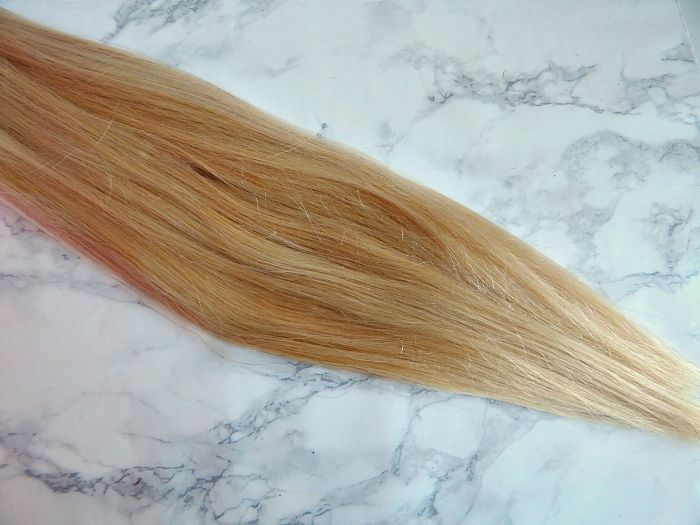 As I have mine sewn in, I opted for a weft, though Lush do stock clip-ins for a more temporary look, as well as pre-bonded extensions for people who get them attached with glue or micro-rings. I chose the 20″ Deluxe Weft in Bleach Blonde, which is one of their lightest shades (they did look lighter than these pictures show, FYI). As soon as the extensions arrived, I was impressed. The weight felt really heavy and I love the fact that they are thick right down to the tips, as a lot can get really straggly at the end. 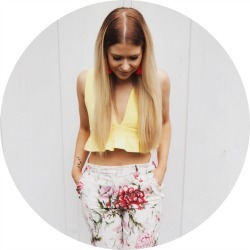 I used my trusty BBlonde Silver Toner as well as some products from the Pro:voke Touch of Silver range to get the extensions the same colour as my own hair. I then hopped on down to my salon to get the extensions sewn in. For those who are local to the Coventry area, I get my weave done at Stylistics Hair and Beauty in the city centre – I’ve been going there for over a year now, and wouldn’t go anywhere else! And voila: The weft blended beautifully with my own hair, and has added length and thickness that I just couldn’t get naturally. I’ve had the extensions in for a couple of weeks now and can confirm that they still feel in great condition, and straighten and curl without any hassle. Now, onto the giveaway! If you would like to win your own set of Lush Hair Extensions. then you just have to enter via the Rafflecopter below. Winners will be contacted by email, Twitter or Facebook message (depending on how you enter) and then I will pass on your extensions of choice to the fabulous people at Lush Hair Extensions. I’ve never worn extensions, excited for this give-away! These extensions are so beautiful. I would love to win these. My hair is thin and I hate it, there’s just no volume. I also dyed it often and because of that my hair is dry and not shiny. Great giveaway. I never had any hair extensions. Since my last hair cut, my hair is short and it looks terrible. So why not giving a try. I love then I hope I win. I can’t believe how gorgeous your hair looks! 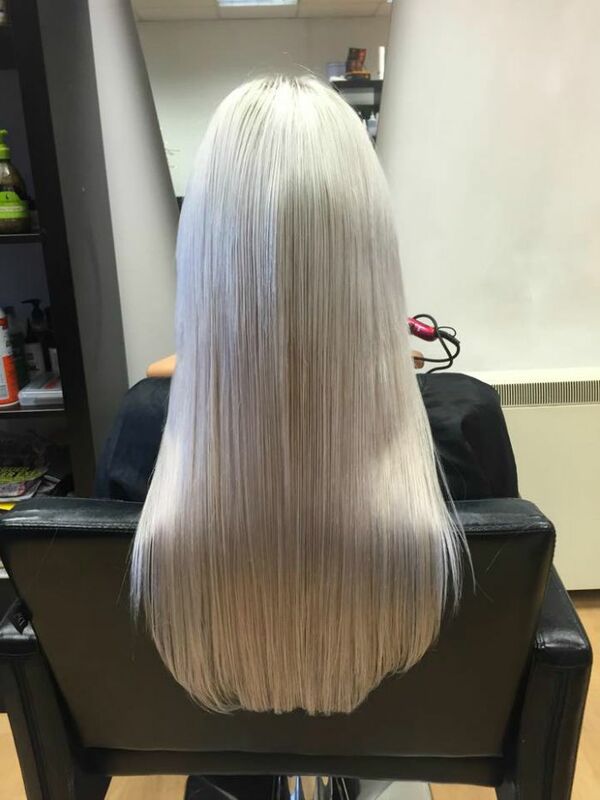 The extensions completely match your hair and look so so shiny and lovely! Ps love the colour of your hair! Your hair looks amazing! Would love to get my locks looking similar!